Head to the Valletta Green Festival this weekend and make use of the promo code for free minutes using Nextbike Malta bicycles! As part of our sustainable event initiatives we have teamed up with Nextbike Malta to offer free minutes for users making their way to this year’s edition of the Valletta Green Festival. Our aim to is encourage individuals to experiment with sustainable transport options. 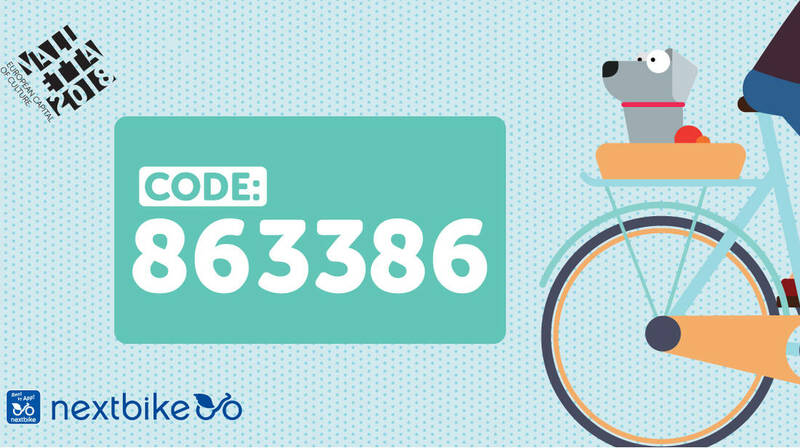 With the super forecast this weekend and and a free promo code, this could be the prime opportunity to get on your bike! Code is valid only for the duration from May 3 to 6 May during The Valletta Green Festival 2018, so why not make the best of it and catch our major exhibition The Island Is What The Sea Surrounds / Dal-Baħar Madwarha which will be open everyday for the duration of the festival, and remains open until the 1st of July 2018.